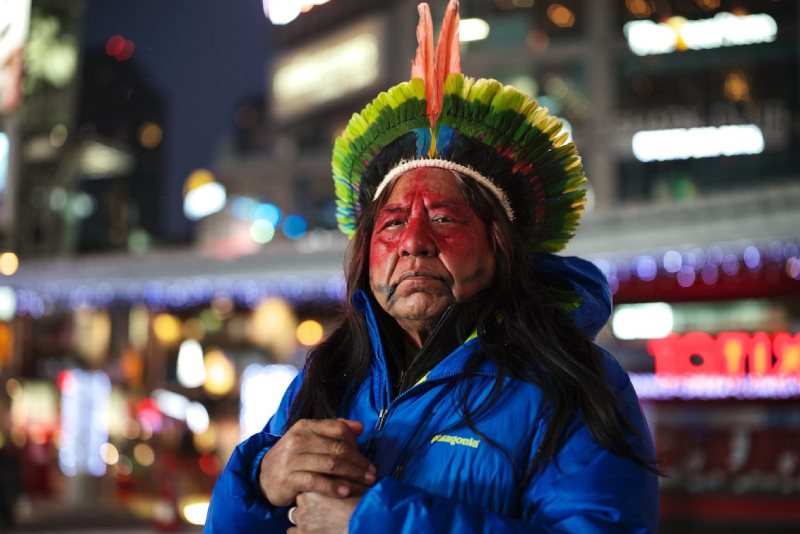 January 28, 2014 — Born into a remote Amazonian tribe with no contact with the outside world, Grand Chief Megaron departed his Amazonian home to brave the winter in North America and meet with partners and supporters who are helping the Kayapo protect their lands. The Kayapo represent a built-in protection force for a vast region of the Southeastern Amazon in Brazil that supports highly diverse flora and fauna and provides hugely valuable ecosystem services such as water and climate regulation and carbon sequestration. Spanning an area twice the size of Nova Scotia, Kayapo territories are large enough to protect species with large land requirements, as well as many localized populations and threatened species. 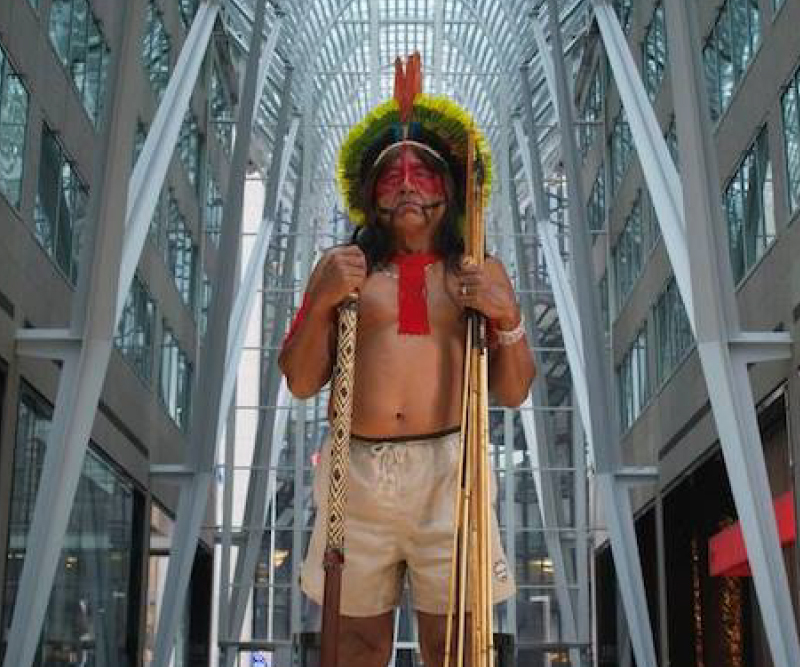 The Toronto reception, held January 20th, was a private party to honour Chief Megaron and to celebrate the life work of Barbara Zimmerman, who has worked with the Kayapo since the late 1980s — with ICFC since 2007, and earlier with Conservation International. At the reception, Barbara translated for Chief Megaron, who explained that their land is everything to the Kayapo - the means to their livelihood and the center of their culture. He told 160 avid listeners that because of the increasing pressures on their lands from illegal logging, goldmining and land clearing for agriculture, the Kayapo need and appreciate support from ICFC. Also in attendance was another long-term enabler of partnerships with indigenous people for conservation: Steve Schwartzman of the Environmental Defense Fund (EDF). Like ICFC, EDF has been a stalwart supporter of this effort in recent years. ICFC's Kayapo project page explains in depth the ongoing partnership between ICFC and the Kayapo.